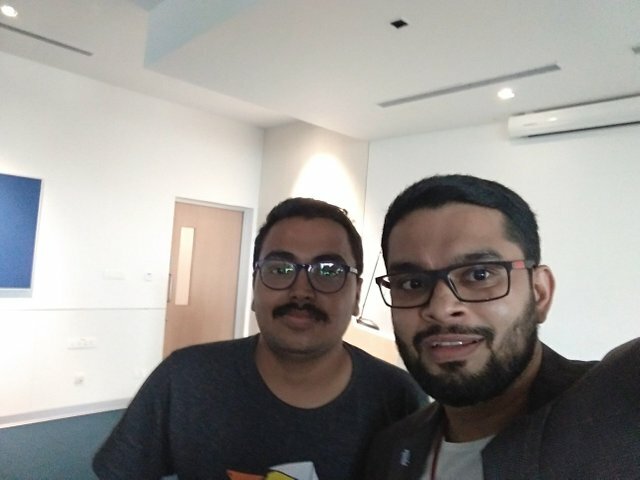 My journey to #2 India Steemit Accelerator Program at Banglore and event notes taken by me.steemCreated with Sketch. I was just checking posts on Steemit and randomly found the post by @Firepower that "India Steemit Accelerator Program is happening in and on 30 July 2017". I seen this post and did RSVP . 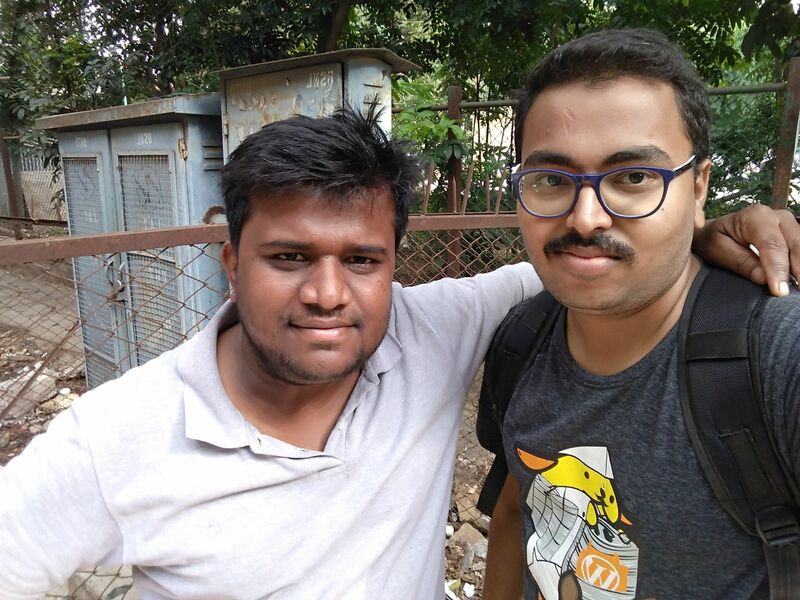 I am from Mumbai and "Steemit" is what interests me, so I quickly RSVP'ed for the event because wanted to know the basics, in and outs of the Steemit platform as being a member since June and haven't done much yet. I was already excited to go to Banglore just wanted the confirmation of the seat, in July of 28th I received an email that I've been confirmed as an attendee. On 29 of July morning, got my train Udyan Express from Mumbai to Banglore City was travelling alone when I reached Banglore station on 30th of July which was event day. I was wondering which stop to get down finding which is the nearest station to the venue on Google Maps so, got down at KSR Bangalore, this was my first time in Banglore. One of my friend Kiran took me to the venue told already that I am coming to his city. We took Metro from Kempegowda Majestic Metro station to Jayanagar from there we did breakfast and then dropped me by his bike to the venue Robert Bosch Indian HQ. I met Kiran through online business six years ago so was meeting him after 6 years. 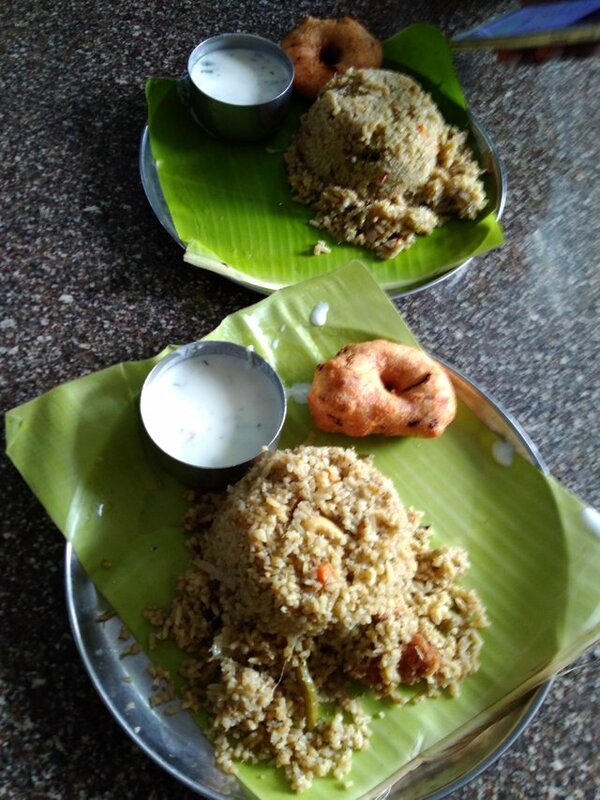 Pulav with Mendu vada and Curd. Speaker @firepower taught what is Crypto Currencies, The Blockchain and Steemit with the help of videos. And then walked us through from the basics creation of a Steemit account, when to post what to post from A to Zee basics of Steemit platform. also shared some of the strategies, links. After the session, we had a break for snacks party and networking sponsored by Steemit India and organizers itself. We ended up with Q& A session at the end followed by a group photo and selfie with the Speakers and organizers. Selifie with @Firepower, also heard his first podcast on @lpfaust show. So thanks @lpfaust hosting a podcast. stackedit.io for writing posts in MarkDown format or style. Comment on trending topics to build a reputation and account, make sensible comments so they can be upvoted by authors. Best time to vote from 6 PM from 6 AM IST for Indian users it depends ( Disclaimer: no accuracy it depends from region or country). Suggested posting at least minimum of 2 posts a day and 4 posts maximum in 24 hrs after giving time gap. We also talked we can check the rates at coinmarketcap.com, Unocoin, Zebpay and CoinSecure wallets. I made new friends, Steemit and Crypto enthusiasts. 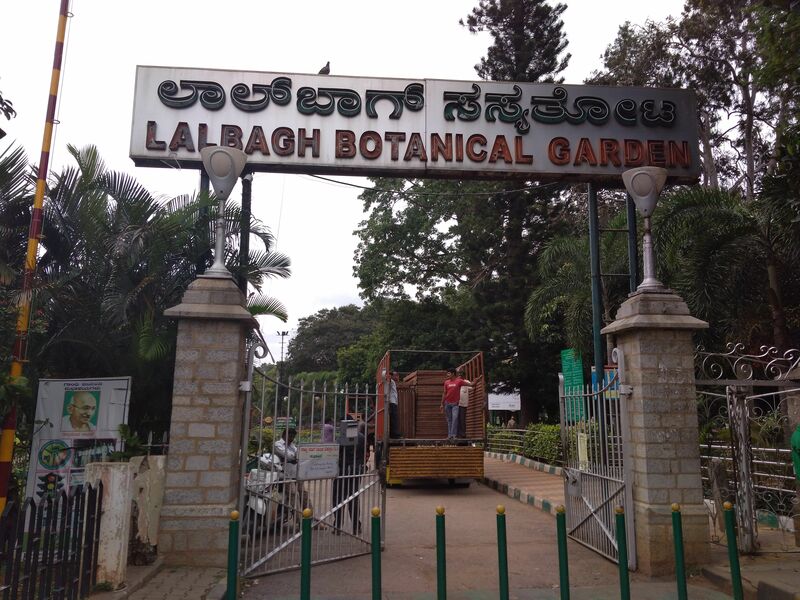 I stayed in Bangalore for a day and visited one of the famous garden called "Lalbag Botanical Garden" then came back to Mumbai by the same train which I came from. Thank you @firepower @andreanoronha @rjsudeep @sanjayjkamath and entire organizing team. Special thanks to Speaker again @firepower and Sponsor "Robert Bosch" Banglore for the Venue. I had chance to meet wonderful Steemians like @hardikv @bikergirl @nandan @awakeningartist @sleepyheadspeaks @rjsudeep @ninnajji @madnomad @arkadian @vj1309 @varunpinto @vinyprop @nehachauhan @thebatmanbiker @sandeshm @onelostsoul , @sleepyheadspeaks @rjsudeep @ninnajji @madnomad @arkadian @vj1309 @varunpinto @vinyprop @nehachauhan @thebatmanbiker @sandeshm @onelostsoul , and Sohail who's in Mumbai. So it was nice meeting to you friends. 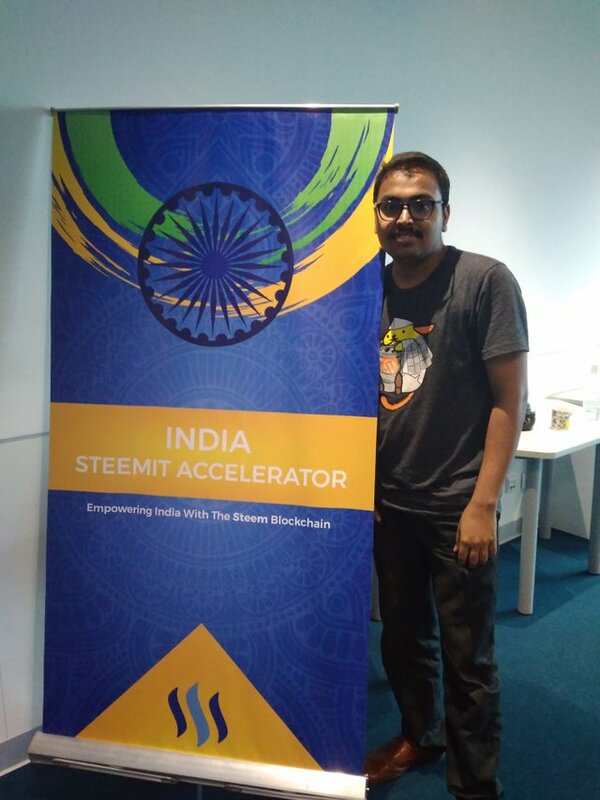 Soon India Steemit Accelerator is going to your have Accelerator Programs near your location. Pictures clicked from my Mi4A mobile. I'm very happy to see that you made it to the accelerator @firepower is running and I'm glad to hear you took some time to listen to my interview with him as well. I'm looking forward to seeing you and everyone else from the accelerator become active, regular contributors to the Steemit platform. I think once my children get a bit older I may have to visit India in the future. Sounds great @lpfaust, we'll meet someday somewhere. I am trying to be more active on the platform after accelerator program it opend my eyes. I don't have steam power much but definitely i'll be getting once I make few more awesome posts. I would definitely love to visit Denver Colorado in future. Keep making awesome posts you'll definitely make it. WOW! You went all the way from Mumbai to Bangalore for that! Going through your narrative tells me that it was some preliminary intro to Steemit. But I guess, it must be too valuable to attend such fests for the sake of networking itself. And it wasn't too far for you if I compare with the Steemians who are traveling to Lisbon Steemfest from the far end of the globe. Without attending one, it will always remain a mystery to me 😊. Thanks for this update, bro! Yes, I am trying to publish postings regularly. This is Awesome . I love the way you have described your trip to banglore with those pictures of local food , friends and places. You have made the article very interesting along with being informative. it takes committment to go to city unknown just for a one day seminar, i am sure you will have grand success on steemit. All the best , Very Inspiring. Thanks @shiv123. I am ambitious guy, which keeps on trying until he gets success. Let's meet soon and ask me if you have questions relating to steemit. The accelerator was super insightful. Yes, indeed it was really nice to meet you in person bro! We must do this again in bangalore, many of my contacts wanna attend and be a part of steemit. Awesome post, I follow@firepower he does excellent work. I was just wondering did you happen to take any pictures while you were at the botanical gardens?